Russia’s UTair Group, which comprises the namesake airline and a number of other subsidiaries, posted 8 million rubles ($136,560) in operating losses for the first half of 2017, reads the group’s IFRS report. The figure for the same period last year stood at 1.702 billion rubles in operating profit. Nevertheless, according to the company, its H1 2017 financial performance proved 500 million rubles higher than forecast. 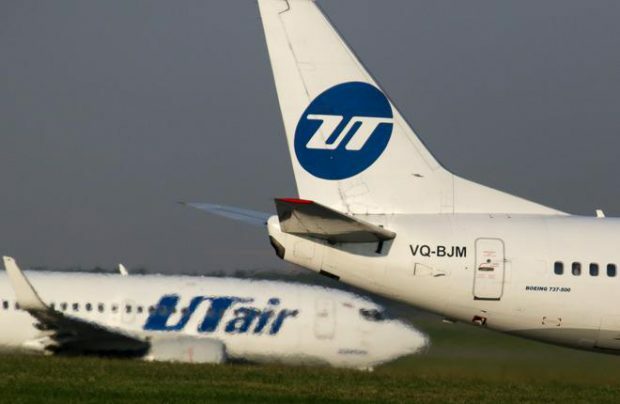 UTair Group’s net loss grew 5.4 times over said period to 3.727 billion rubles. The company did not comment on the factors behind the mounting losses. The group’s revenues decreased 4.5% to 31.717 billion rubles. Revenues generated by scheduled and charter passenger operations declined 2.5% to 22.269 billion rubles. UTair Aviation and its sister carriers transported 3.4 million passengers, up 5% on the same period last year. The airline explains that growing competition and excessive capacities caused the margin in the air travel segment to decline. In the helicopter segment of the Russian market, UTair Group’s revenue grew 15.1% to 4.648 billion rubles. The group includes UTair – Helicopter Services, Russia’s largest rotorcraft operator with a fleet of 165 helicopters. The operator estimates that the Russian market of helicopter services shrank 23% in January-June this year.